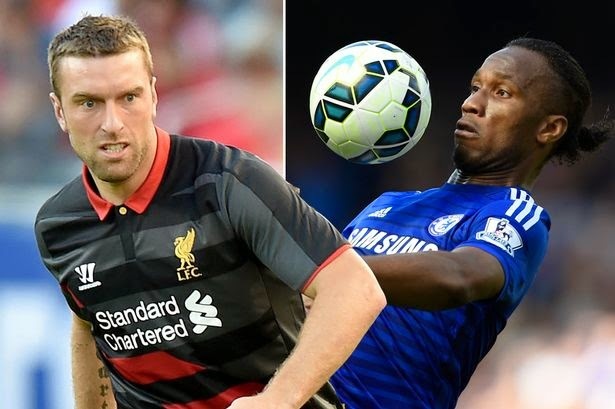 According to the Mirror, Chelsea are considering a shock move for Rickie Lambert as a possible replacement for Didier Drogba. The newly-crowned Champions had the 33-year-old Liverpool striker watched as he played the whole of Saturday’s 2-1 win over QPR. The west Londoners are set to get an even closer look at Lambert next weekend as the Reds’ next game is at Stamford Bridge. The former Southampton striker joins Tottenham’s Emmanuel Adebayor on the Chelsea shortlist to replace 37-year-old Drogba - third choice behind Diego Costa and Loic Remy - who is out of contract at the end of the season. Drogba has confirmed he wants to continue playing but boss Jose Mourinho has yet to confirm whether the Blues legend will stay. Will Lambert be at the Bridge next season?